Students will apply Internet research skills to complete an inquiry-based paper about African-American inventors. 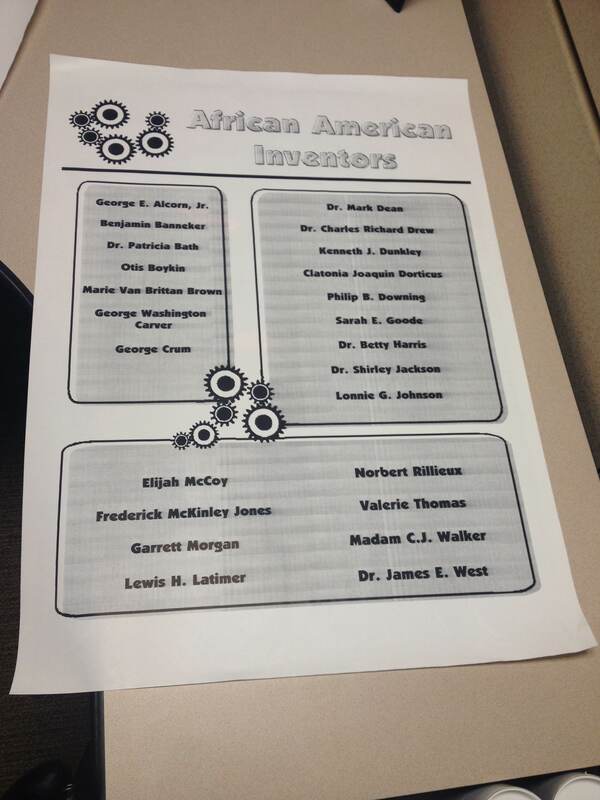 In preparation for this unit, print a poster-sized copy of African American Inventors (VIS211) poster using the Poster Maker or Perfecta. Cut out Flap Facts 5 (SIW185), as large as possible on the page. Cut out enough Flap Fact 3-D graphic organizers for each student to have one, plus one additional to use as a model. 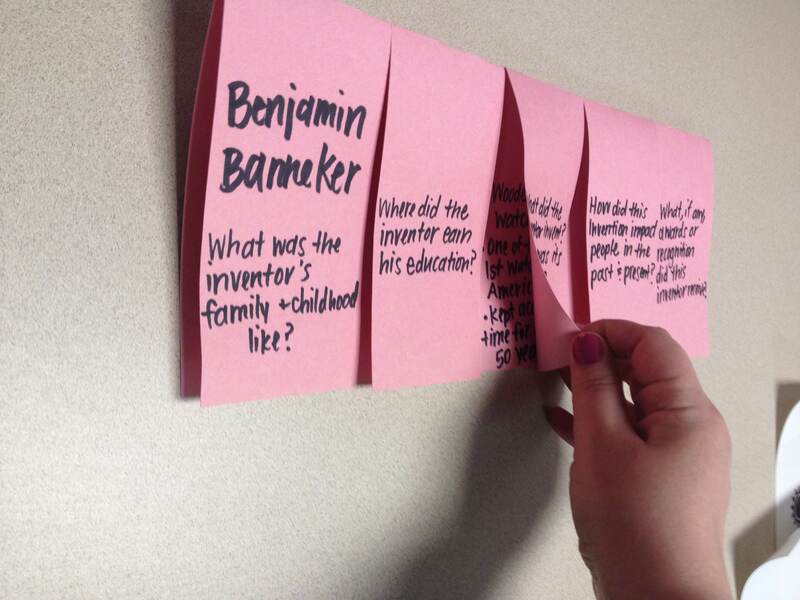 Introduce this unit by asking students if they know of any inventors. Have a brief discussion about inventors that they are familiar with and the inventions that they have created. Set the stage for their research with a read-aloud about African-American inventors - consider using What Color Is My World? The Lost History of African-American Inventors, by Kareem Abdul-Jabbar. Explain to students that they will be researching an African-American inventor and writing an informative paragraph about his or her invention. Model how to fill in a Flap Fact 3-D graphic organizer using information about one of the inventors you read about in the book. Write one research question on the front of each flap and record the information that answers the question inside the flap. Be sure to summarize the information by restating it in your own words, using bullet points to record the main ideas. Explain that this will help students to avoid plagiarism when writing their paragraphs. Hand out one Flap Fact graphic organizer to each student. Students write the name of the inventor they are researching across the top of the first flap. Then, write each question on the front of each flap. What was the inventor’s family and childhood like? Where did the inventor earn his or her education? What did the inventor invent? What is the purpose of this invention? How did this invention impact people in the past and present? What, if any, awards or recognition did this inventor receive? If possible, have students print a picture of their inventor and what he or she invented to use during their presentation. Once each student has completed the research, model how to write a short paragraph that summarizes the impact of the inventor and his or her invention on the world.  Students should take turns presenting their inventor to the class, by reading their paragraph and showing a picture of the inventor and invention.